Prep time- 2 hours. Filling assembly- 1 hour. Steaming- 30 minutes. Frying- 30 minutes. Satisfaction of homemade dumplings- Priceless. 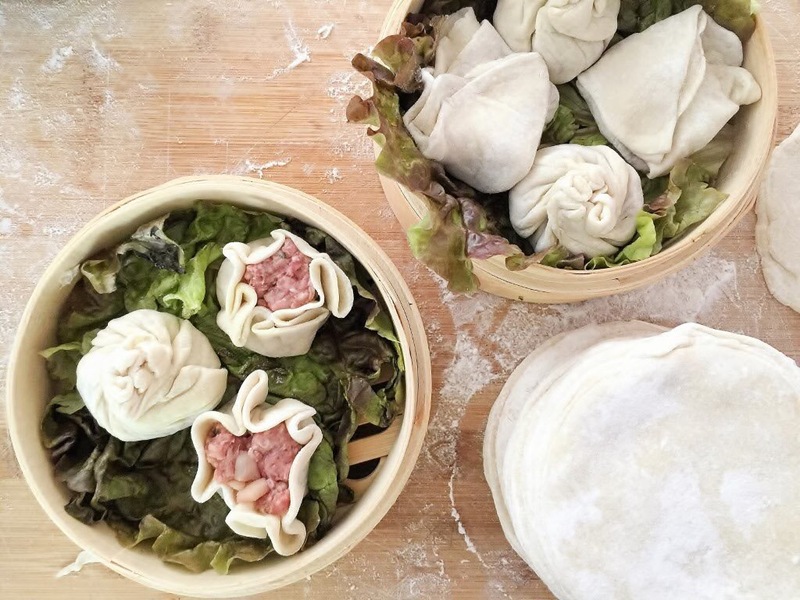 while the word “dumpling” may have many different meanings— in China, the dumpling capital of the world, it has no meaning at all. 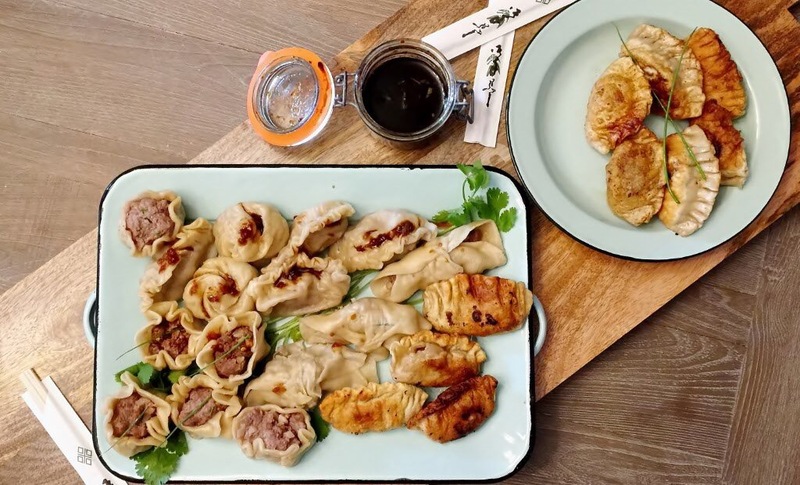 Depending on who you ask, Chinese dumplings can be divided into any number of different categories. 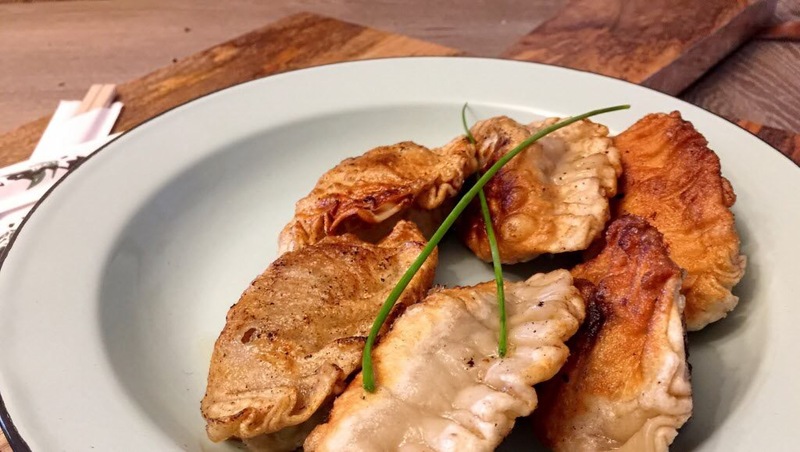 There are wheat flour doughs and doughs made of rice flour or tapioca starch, steamed dumplings and fried dumplings, sweet and savory, leavened and unleavened…the list goes on. 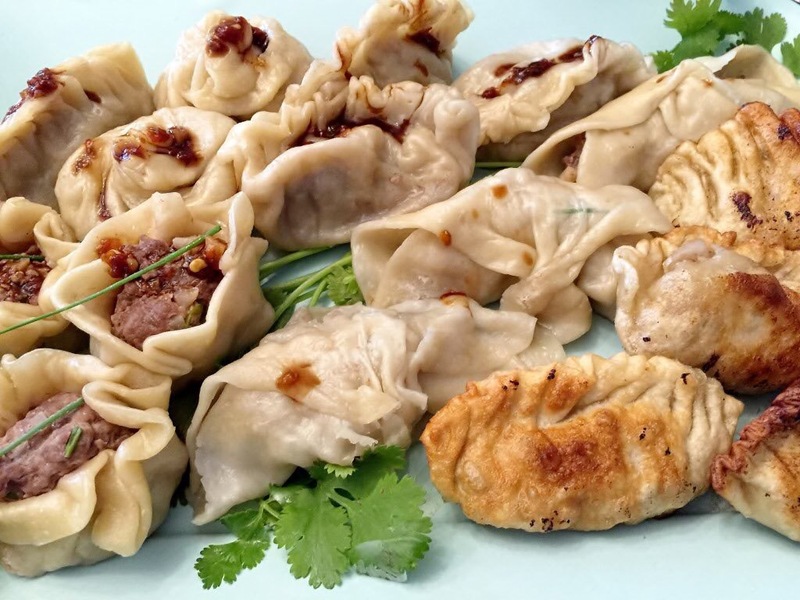 What I have for you today are a variety of homemade dumplings, stuffed with 2 lbs premium organic ground beef, 1 small can diced water chestnuts, 1 bundle minced chives, 1 tbsp minced ginger, 2 tbsp hoisin garlic marinade, kosher salt, and fresh ground black pepper to season. 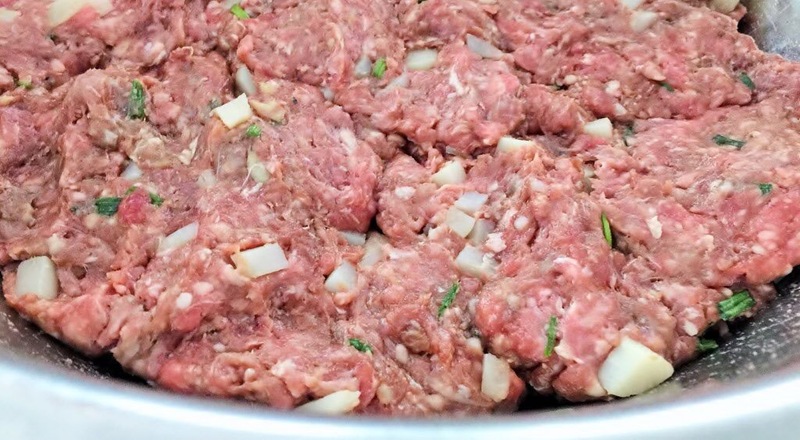 Most dumplings are made from ground pork and shrimp. However, since I readily had ground beef…sure, why not? Mix all of the ingredients together in a large bowl, set aside. To make the dough: Take 2 cups all-purpose flour and place it in a food processor. With machine running slowly pour 1 cup hot water whilst pulsing and a formation of dough takes place, about 1 minute. 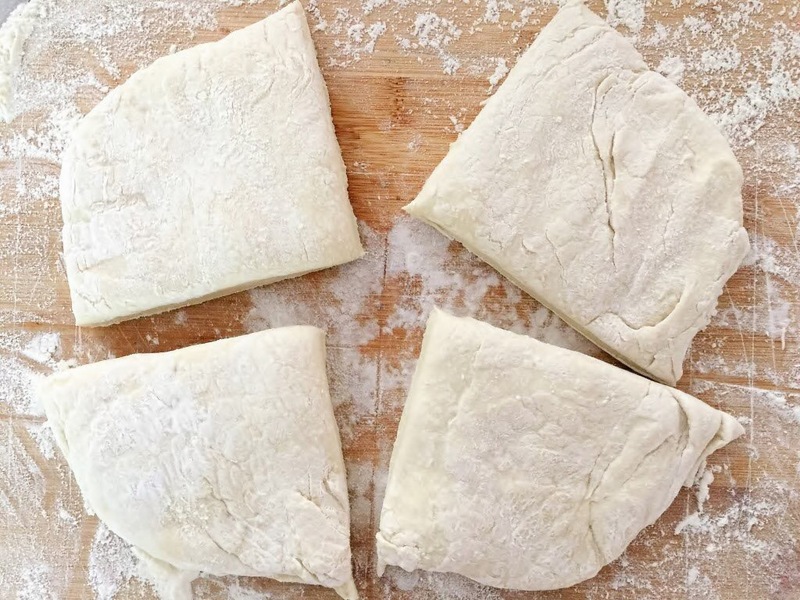 Remove dough and continue shaping to a ball by floured hand. Transfer to a bowl, cover with wet towel, and let it rest for 30 minutes. 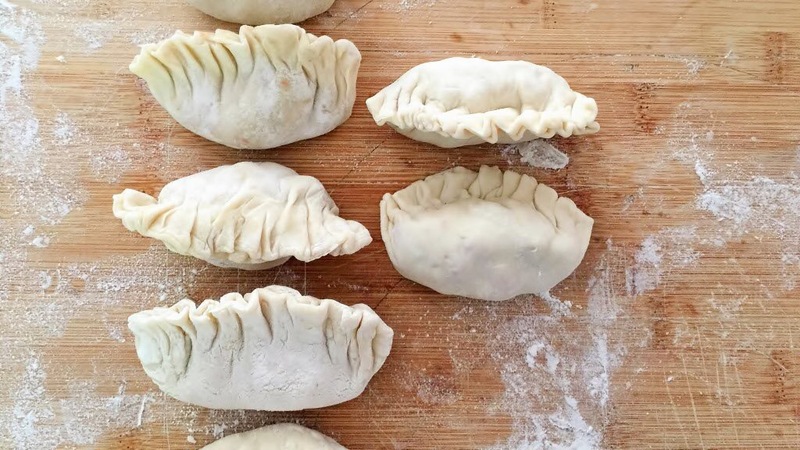 To make the dumplings: Divide dough into 4 sections, and each section into 10 small tablespoon-sized balls, making 40 balls total. On a well-floured work surface, roll each ball into a round 3 1/2- to 4-inches in diameter. Stack wrappers and keep under plastic until all of them are rolled out. To form dumplings, place 1 tablespoon of filling in the center of a wrapper. Moisten the edges of the wrapper with a wet fingertip or a pastry brush. Fold in half and pinch the bottom-right corner closed. Pleat the front edge of the wrapper repeatedly, pinching the edge closed after each pleat until the entire dumpling is sealed. 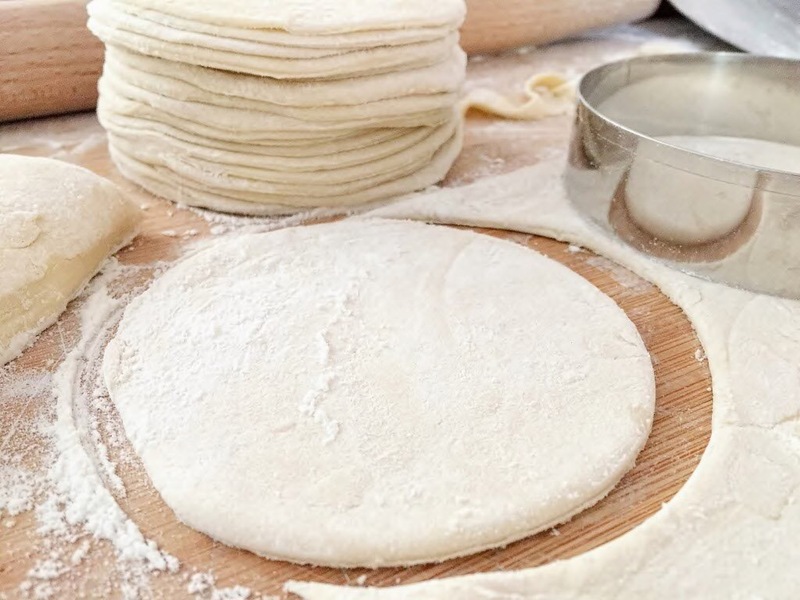 Transfer sealed dumplings to a lightly floured wooden or parchment-lined board. To make the dipping sauce: Combine 2 tbsp soy sauce, 2 tbsp rice vinegar, 1 tbsp sugar, 1 tbsp finely sliced scallion greens, 1 tbsp ginger, grated on a microplane in a small bowl and set aside at room temperature. To cook the dumplings (without steamer): Bring a large pot of water to a boil. Add a 6 to 12 dumplings and boil until they float (About 1 minute). Continue boiling for 2 minutes longer, then transfer to a plate with a wire-mesh spider or slotted spoon. (With bamboo steamer): Place steamer in a large pot of boiling water. Lined with parchment paper (or lettuce leaves), place dumplings in the steamer and cover. Let steam for about 2 minutes. Serve immediately with dipping sauce. (Optional) Heat 3 tablespoons vegetable oil in a 10-inch nonstick skillet or the bottom of a well-seasoned cast iron wok over medium heat until shimmering. Add dumplings flat-side down and cook, swirling occasionally, until bottom of dumplings are golden brown and crisp. Serve immediately with dipping sauce. Repeat step above with remaining dumplings, working in batches. Posted in Appetizers, Entrees, Menu, Side Dishes, Snacks and tagged chinese food, comfort food, food, food blog, foodies, recipes. Bookmark the permalink.